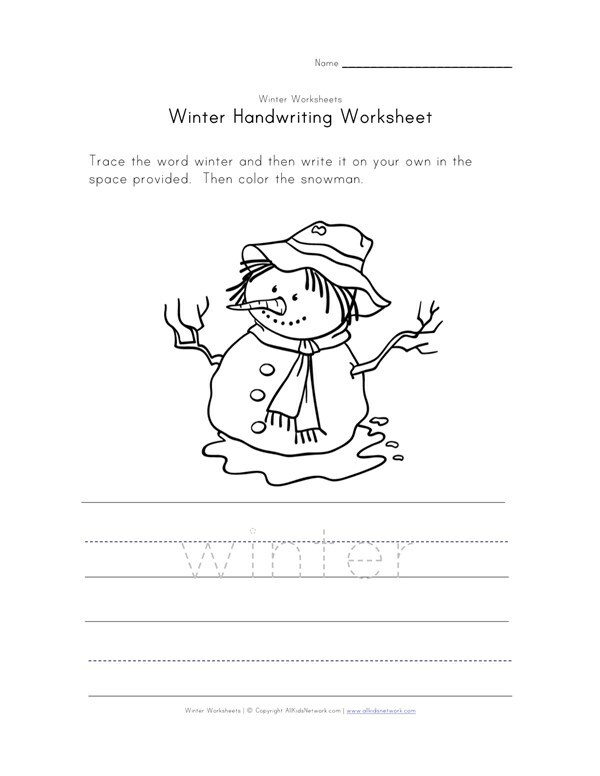 Help kids practice their handwriting skills with this winter snowman worksheet. Kids are asked to trace the word "winter" and then write it on their own. Then they can color the picture of the snowman!